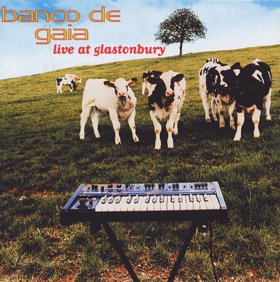 This is a recording of the complete set performed on The Avalon Stage, Glastonbury Festival, England on June 24th 1995. We have tried to capture the spirit of the occasion rather than achieve technical perfection. No blame. Uncredits: Due to a rather complicated legal and political situation, we were unable to clear a vocal sample used on ’887′. We have therefore had to edit that section out, which has left the track less than perfect, but it seemed best to still leave it on the CD anyway.